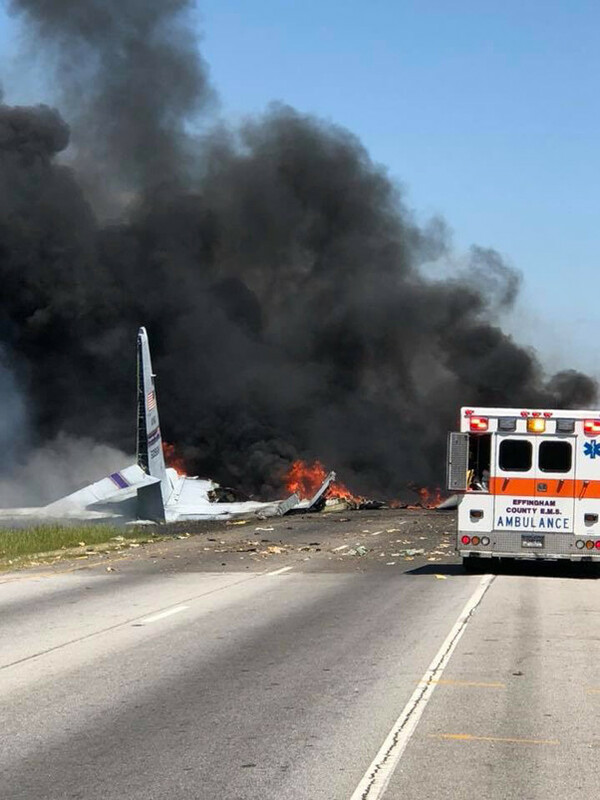 An Air National Guard C-130 cargo plane crashed May 2 onto a busy highway after taking off from a Georgia airport, killing at least five National Guard members from Puerto Rico, authorities said. Black smoke rose into the sky from a section of the plane that appeared to have crashed into a median on the road outside Savannah, Ga. Firefighters later put out the blaze. Capt. 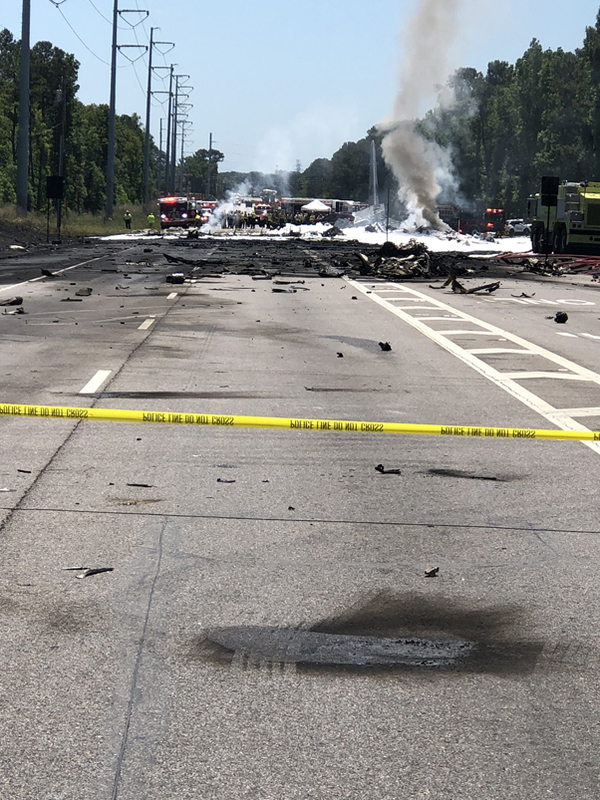 Jeff Bezore, a spokesman for the Georgia Air National Guard’s 165th Air Wing, said the crash killed at least five people. He said he couldn’t say how many people in total were on the plane when it crashed around 11:30 a.m.
Senior Master Sgt. Roger Parsons of the Georgia Air National Guard told reporters the cause of the crash was unknown and authorities were still working to make the crash site safe for investigators. “Any information about what caused this or any facts about the aircraft will come out in the investigation,” he said. The plane had just taken off from the Savannah/Hilton Head International Airport when it crashed, Parsons said. The Air Force said the plane belonged to the 156th Air Wing out of Puerto Rico, and Puerto Rico National Guard Spokesman Maj. Paul Dahlen told The Associated Press that all those aboard were Puerto Ricans who had recently left the U.S. territory for a mission on the U.S. mainland. He said initial information indicated there were five to nine people aboard the plane, which was heading to Davis-Monthan Air Force Base, Ariz. He did not have details on the mission. The plane crashed onto state highway Georgia 21, about a mile from the airport, said Gena Bilbo, a spokeswoman for the Effingham County Sherriff’s Office. The crash caused a big fireball and scattered debris over a large area, Bilbo said. A photo tweeted by the Savannah Professional Firefighters Association shows the tail end of a plane and a field of flames and black smoke as an ambulance stood nearby. The only part of the plane that remained intact was the tail section, said Chris Hanks, the assistant public information officer with the Savannah Professional Firefighters Association. The tail section was sitting on the highway and the ground in front of it was black and littered with debris, he said. Savannah’s Air National Guard base has been heavily involved in hurricane recovery efforts in Puerto Rico. In September 2017, it was designated by the Air National Guard as the hub of operations to the island in the aftermath of hurricanes Irma and Maria, the base announced at the time. Savannah/Hilton Head International Airport said on social media that some flights were being affected though the crash happened off its property. The airport advised passengers to check with their airline for updated flight information.